Ada soalan mengenai Constance Belle Mare Plage? 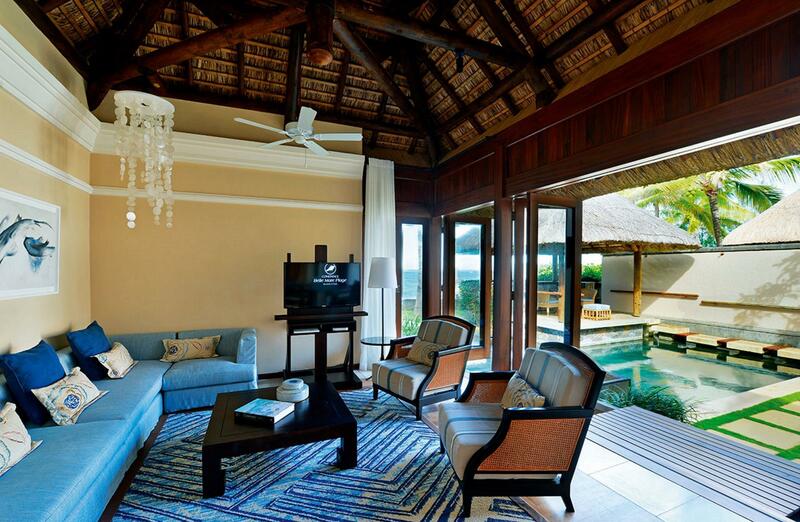 Jika apa yang anda cari adalah hotel dengan lokasi menyenangkan di Pulau Mauritius, cuma perlu lihat Constance Belle Mare Plage. Hanya 10 km dari pusat bandar, lokasi strategik hotel memastikan tetamu boleh ke mana-mana sahaja dengan cepat dan mudah ke tempat-tempat tarikan. Tidak kurang hebat adalah akses mudah hotel untuk ke pelbagai daya tarikan dan mercu tanda bandar, seperti The Legend Course, Pantai Belle Mare, Kelab Golf One and Only Le Saint Geran. Kemudahan dan perkhidmatan yang disediakan oleh Constance Belle Mare Plage memastikan penginapan yang menyenangkan bagi para tetamu. Hotel ini menawarkan khidmat bilik 24 jam, Wi-Fi percuma semua bilik, meja depan 24 jam, fasiliti tetamu kurang upaya, simpanan bagasi untuk memastikan tetamu menikmati keselesaan yang terbaik. 256 bilik di sepanjang 3 tingkat menyediakan suasana nyaman dan menyenangkan. almari, teh percuma, bilik persalinan, tuala, rak baju boleh didapati di beberapa bilik. Hotel ini menawarkan banyak peluang rekreasi yang unik seperti tab panas, pusat kecergasan, sauna, padang golf (di lokasi), kolam renang terbuka. Apa juga tujuan lawatan, Constance Belle Mare Plage merupakan pilihan yang terbaik bagi penginapan anda di Pulau Mauritius. Tawaran bulan madu mengkehendaki tarikh perjalanan dalam lingkungan 6 bulan dari tarikh perkahwinan. Salinan wajib sijil perkahwinan hendaklah dihantar kepada pihak penginapan untuk pengesahan. Apabila menempah 9 bilik atau lebih, polisi berbeza dan bayaran tambahan mungkin terpakai. Pihak penginapan berhak menolak tempahan melebihi 10 bilik. Kanak-kanak 0-2 tahun menginap percuma jika menggunakan katil yang ada. Kanak-kanak 3-11 tahun akan dicaj EUR 75 setiap kanak-kanak semalam termasuk katil tambahan dan sarapan. Kanak-kanak 3-11 tahun akan dicaj EUR 100 setiap kanak-kanak semalam termasuk katil tambahan dan half board. I loved our stay their , but the location is far from everything , it takes an hour to go to an attraction , the staff is nice and helpful but slow ,, and the Resturants always fully booked. It is a top class facility, with excellent levels of customer service. We would like to mention Annabelle and Suren for their outstanding service on behalf of the hotel. Well appointed and extremely comfortable sea facing junior suite offered wonderful rest and relaxation for my 4 night stay. Staff were genuinely friendly and professional. Food was excellent and the dinner at Deer Hunter restaurant was amazingly good. Too bad the sea was choppy and cold as this is the beginning of the Mauritian winter. There is the lightly heated Indigo pool though as an alternative for swimming. One needs a car to venture out from this tranquil oasis. While the location on the beach is beautiful, this grande dame is slowly decaying, with dark rooms needing maintenance and unbelievably poorly trained staff. 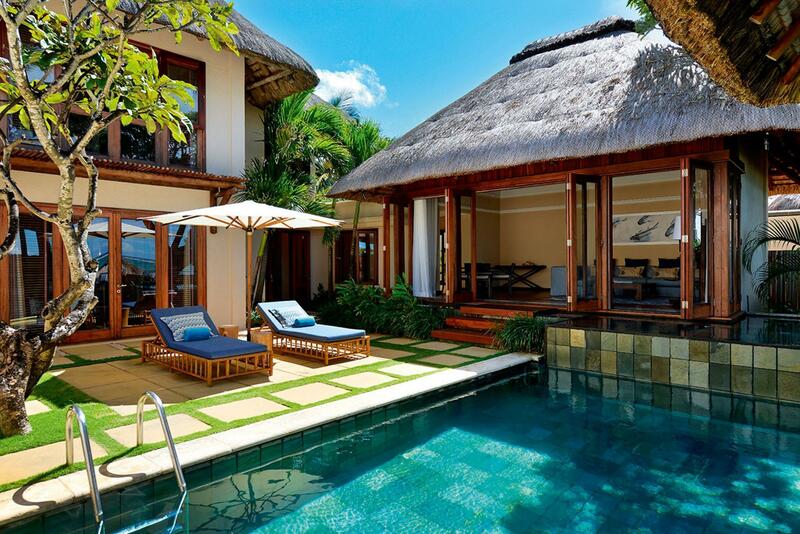 Lots of better value for money options on Mauritius. We couldn't wait to leave and return to one of the far better resorts. Spend your hard earned money elsewhere!!! 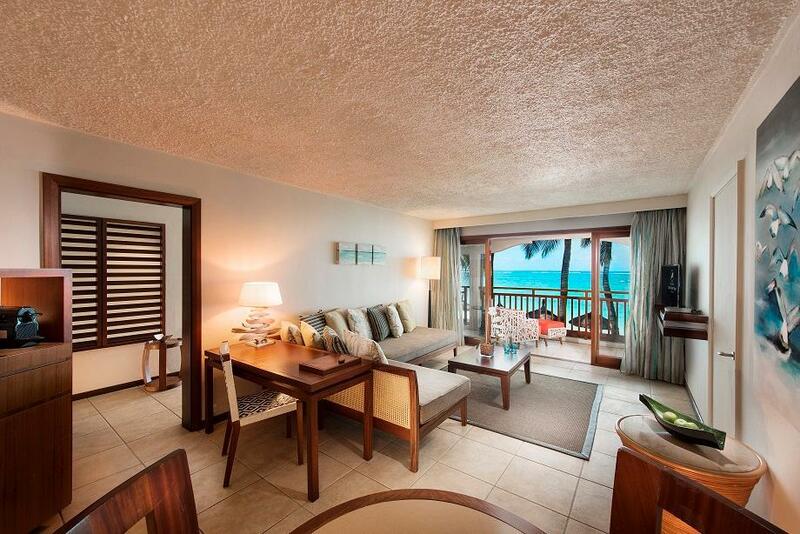 We even had the more expensive ocean front villa room. Pity the poor guests in the cheaper back rooms. If you don't do half-board, please be ware...every restaurant, activity (water sports, spa, etc) is fully freaking booked at all times...what kind of a five star hotel doesn't have capacity for residents??? very annoyed!!! 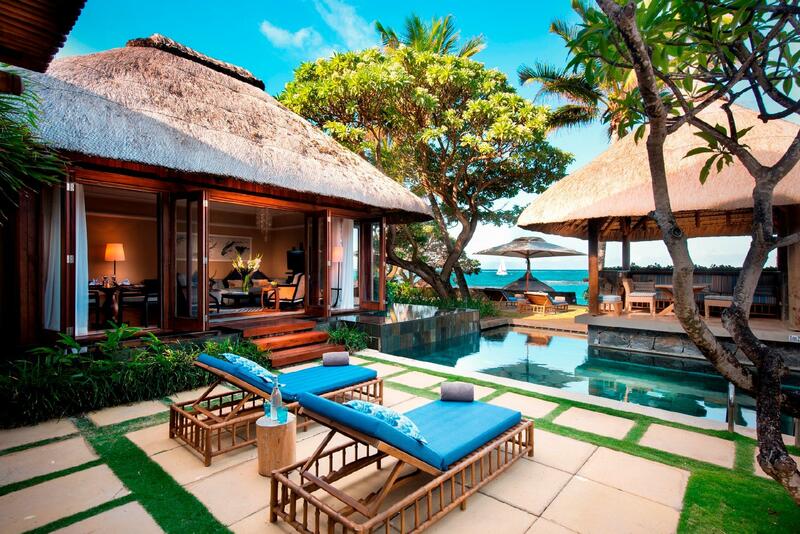 Our stay at Constance Belle Mare Plage was fantastic. The moment you step into the hotel you know you have arrived at a Constance. The beach is long and very beautiful with an excellent coral reef just around the corner for snorkeling. The golf courses are immaculate and with their very own wild deer on the Legends golf course. The staff always have a smile on their face and many went out of their way to help us. A special mention for - Babita one of the supervisors of the hotel house keeping crew who really knows what it means to look after a guest. The lady at the guest relations who's name i forget but who cancelled and rearranged our activity booking thrice with a smile on her face. The Marshall at the Links golf course who went out of his way to help find my wife's mobile phone which she dropped on the course, which was like hunting for a needle in a haystack. The boat house staff who took us out to different snorkeling sites patiently explaining the rules for the trip. Last but not the least the kind lady chef who gave us a big bag of bread to feed the fish. A few draw backs - Distance of the hotel from other parts of the island. So if it is a secluded holiday you are looking for, then you have chosen the right hotel. The ac and the fridge did not cooling/ work properly in our room at least. All in all another fantastic Constance holiday. Our stay was very disappointing. Mostly due to poor staff training (not poor staff, they were friendly and attentive, but very badly trained) 1) Front gate didn't have our name on the list, and argued with our driver that we were in the wrong hotel. Tried to send us to the competition! 2) Receptionist told us about the restaurants. Low season most were closed! She did not tell us was that there was a dress code for dinner, so after going to the room and changing, we had to go back and change again. Some staff pointed us in the direction of the restaurant in our shorts/sandals not telling us 3) She also didn't tell us the main non-buffet restaurant was closed on Sunday. So after doing the buffet 2 days, we went to pre-book the al a carte and were told we had no options 4) The A/C in the room didn't work. Fixed 2 times without really fixing. Hotter in our room than outside even, no one paid any attention or seemed to be able to fix the problem 5) The buffet was large and there was some nice items however Friday night our arrival had not one single "premium" type item. 1 fish, ZERO seafood, ZERO lamb, this is an island! Due to religion beef/pork are rare so Lamb is the main meat. To have a 5* buffet on Friday night with not 1 item of seafood or Lamb was just plain disappointing. Some very limited and poor quality Seafood on Sat and Sun. 6) Sauna, Steam room was cold. After entering for a while we went to front desk and asked. Ooops I'll turn it back on for you! Still only slightly warm. Better facilities at your average 3* 7) Massage. Massage was average but of course extremely pricy. No problem but all the staff seemed more trained to try and sell us additional massages than making us feel relaxed and giving good massage. From the receptionist to the masseuses, they were just all salespeople. Special note: the room stewarding team was great. All in all for almost $500 usd/night I have never had such a bad experience even when paying $100/day. Great hotel - we stayed in a junior suite facing the sea. The room was large and spacious with a lounge and balcony. The bathroom was clean with a large bathtub and separate shower with twin sinks. The room was of an excellent standard. The pools were well-maintained with free golf, mini-golf and other water sports. Breakfast was good, not amazing considering the rest of the hotel. The only thing that let it down slightly was the slightly patchy service. Some staff members were very friendly and attentive. Others were less good. Generally great - would definitely stay there again. All very good except a poor IT service which was advertised as included but an extra charge was needed for a 'fast service' which we found unacceptable. 1- Friendly staff. 2- lovely surrounding.3- Too many birds in the dining room. Disappointed. The food was too expensive. The rate of taxis imposed by the hotels are too high. Noisy at night with night staff being the culprits. It is far removed from the main town/village. Fantastic holiday with lots of activities included in the package, the staff were exteremly friendly and helpful, the hotel facilities were great, food superb & location right on the magnificent beach. Wonderful eight days in idyllic, cozy setting. Terrific dining experiences; two great, complimentary golf courses. 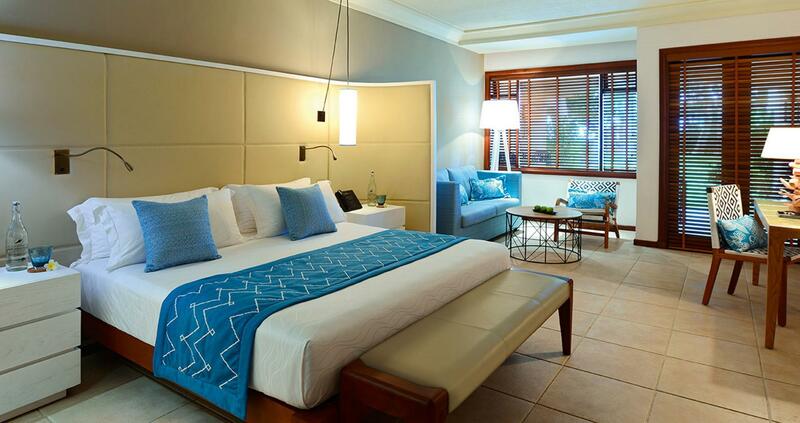 Impeccable service from all departments, refined luxury, spacious, comfortable, well-appointed rooms. Tthe golf, the spa and the deserts! we had a wonderful stay at the constance belle mare plage. its a lovely hotel and we had a very relaxing holiday.